Disclaimer: Chords-lanka.com does not store any multi-media files on its server. We only index and link to content provided by other sites. All the content provided are strictly for personal use and educational purposes only. Please read our DMCA Policy to find out more. All the lyrics provided on Chords-Lanka.com are the property of the respective artist, authors and labels, they are intended strictly for educational purposes,read,view and private study only. Commercial using, copying, redistributing and printing is strictly prohibited. Please note that all the chords provided on Chords-Lanka.com are our visitor's interpretation only. If you like this song, please buy the relative CD to support the artist. or Click here to share this on your FaceBook with your friends. To leave a comment or a correction, use the comment box below. 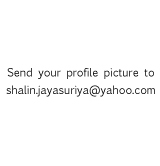 Copyright � 2010 ChordsLanka.com. All Rights Reserved. Administrator/Designer Shalin Jayasuriya.